Churchill Downs today announced the opening of a public auction for 19 lucky runners to race each other on the iconic racetrack to raise awareness and money for the American Heart Association – Louisville. The winner of “Heart Race at the Track” will win two tickets to the 145th Kentucky Derby in May 2019. The public can bid to earn a spot in this once-in-a-lifetime race at www.KentuckyDerby.com/HeartRace. All proceeds will benefit the American Heart Association – Louisville (AHA). The race will take place on Wednesday, Nov. 21 at 11 a.m. The runners will start out of the famous Churchill Downs' starting gate and run the Kentucky Derby's 1 ¼-mile distance to the finish line. 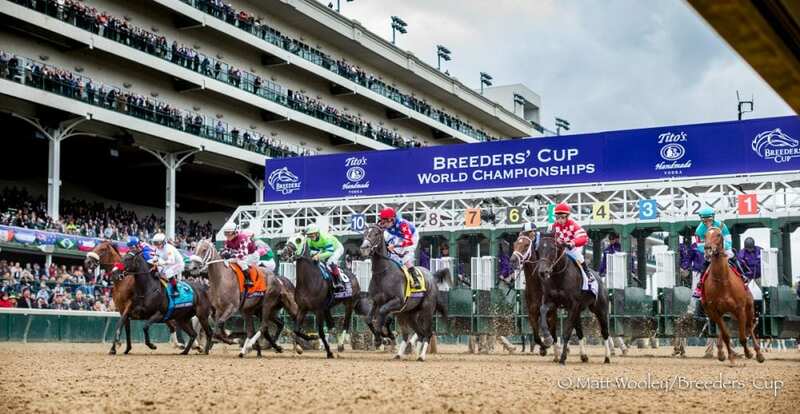 The 19 highest bidders who have a spot in the race will be announced on Monday, Nov. 19 atwww.KentuckyDerby.com/HeartRace. The race is part of AHA's new Queen of Hearts campaign. The Heart Ball, AHA's annual fundraising event, nominates community leaders who exemplify a healthier Kentuckiana to be Queen of Hearts candidates to help raise money and awareness to reduce heart disease and stroke. Each Queen of Hearts candidate has committed to raising a minimum of $10,000 to support AHA's mission. The candidate who raises the most money will be crowned the Queen of Hearts at the 27th annual Heart Ball on Feb. 9, 2019. Churchill Downs' Vice President of Partnerships Kristin Warfield is a Queen of Hearts candidate who helped organize the “Heart Race at the Track” to raise money and awareness for AHA. She will fill the 20th spot in the race but is not eligible for the winning prize of two Derby tickets. To donate to the American Heart Association through Warfield's Queen of Hearts campaign visit www.KentuckyDerby.com/HeartRace. This entry was posted in People and tagged American Heart Association, churchill downs, fundraiser, Louisville by Press Release. Bookmark the permalink.